To end our season here in Sedona, we are part of a show which we are hanging on March 22nd, 2017. It will run through April 4th in the Special Exhibition Gallery at the Sedona Arts Center. This is the Gallery in the original Apple Barn Building below Main Street where the Pottery Workshop, Larger Classroom and Arts Center Administrative Offices are located. Open Daily 10-5. We will be there for 4 shifts and the other artist will also be manning the Gallery for 3-4 shifts during the period. 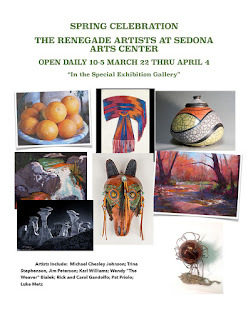 It is called the Spring Celebration of the Renegade Artists at the Sedona Arts Center. I am sharing a wall with Michael Chesley Johnson and I picked out the 9 pieces I will showing today. Prices $100-200 so an affordable gift for yourself or others. 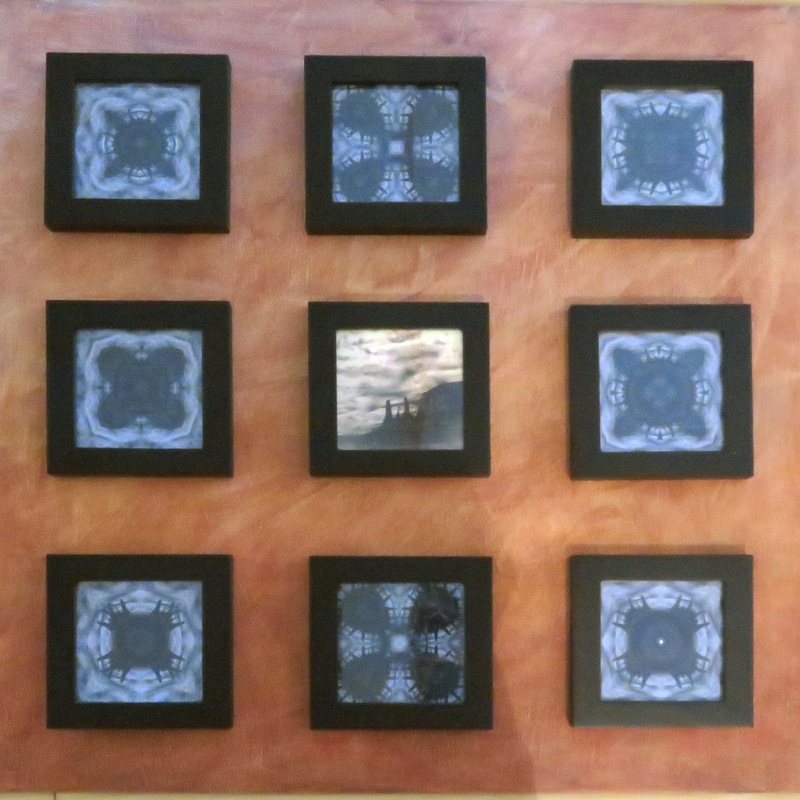 These are metal prints or framed prints on paper. 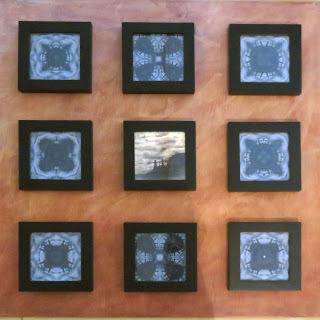 My largest one is called "Monumental Valley", 24" by 24" with 9 kaleidoscopes on a hand painted board. It is based on a recent trip with the Sedona Camera Club to Monument Valley on the Arizona/Utah state line. To celebrate the first official day of Spring tomorrow, here are some recent photos taken of my lilac bush in Arizona. I get a kick out of the fact that 2 months from now, the lilacs will be blooming in Downeast Maine and the Canadian Maritimes so we get to enjoy two Springs! We are heading to Zion National Park in mid April to lead a painting retreat and then will begin the trek east to Lubec, Maine and Campobello Island, New Brunswick.